MANILA, Philippines - ABS-CBN's young artist Chacha Cañete has proven that she is the little big star in Europop 2014 held in Berlin, Germany when she won 2nd place in the 10-13 age group category last November 28-30. 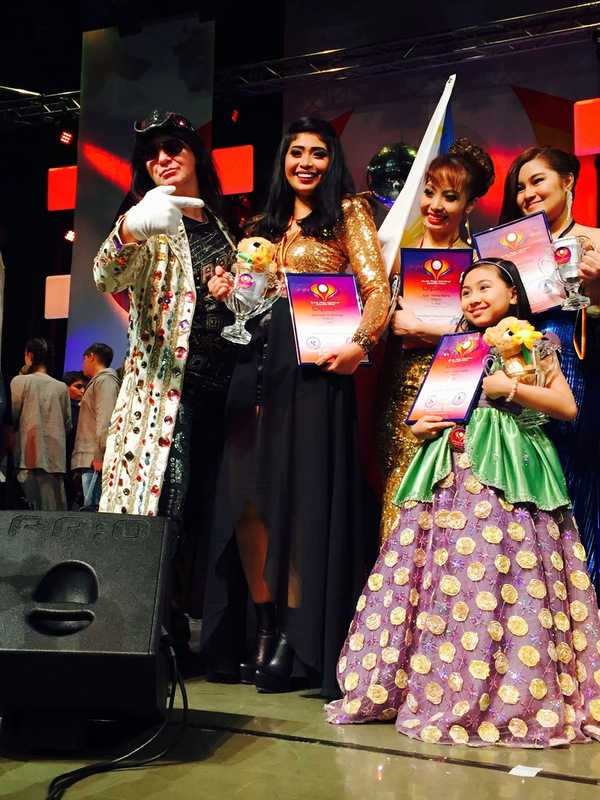 As the youngest and smallest delegate in the international singing competition, the Goin' Bulilit star Chacha bested out 17 contestants in her category, the toughest group among the age brackets. Chacha was declared the silver medal recipient after singing “The Impossible Dream” as her worldwide hit entry and “Wish” for her original song/national hit performance. “Wish” is Chacha’s original song that is part of her Bulilit Rockstar album. The combined scores of the participants’ songs were added and tallied to determine the winners. Known as a crowd charmer, Chacha was one of the audience’s favorites and one of the most applauded delegates for her performances and during the announcement of winners. Chacha also earned a lot of praises from co-delegates and coaches during the competition. The Philippines was a big winner in Europop 2014 as other Filipino delegates also grabbed awards in other categories: Ana Katrina Ramsey (1st place, 18-24 division); Gleenete Gaddi (3rd place, 14-17 division) and Gian Marla Gloria (4th place, 18-24 division).